DAY 1 : CHANDIGARH ARR. Welcome to Chandigarh-The City Beautiful. Upon arrival at Chandigarh Airport/ Railway Station check-in to the hotel. 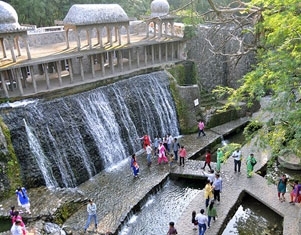 Later proceed for a half day city sightseeing tour of Chandigarh visiting Rock Garden, Rose Garden and Sukhna Lake. Overnight stay at Chandigarh Hotel. After breakfast, check-out and proceed to Manali also known as the Valley of Gods. Enroute sight-seeing of Kullu which includes Pandoh Dam, Vaishno Devi Temple &Manikaran Sahib Gurudwara.On arrival check-in to the hotel. Overnight stay at Manali Hotel/Resort. After breakfast, enjoy breathtaking drive to Snow Point on the road to Rohtang Pass which is a gateway to Lahaul, Spiti&Leh Valley. Rohtang Pass is located at a height of appr. 4000 mts and is covered by snow round the year. Rohtang Pass remains closed every Tuesday and also during winters. Later proceed to the famous Solang Valley which is a preferred location for adventure activities (optional) such as parachuting, paragliding, skating, zorbing and horse riding. Return back to Manali. Overnight stay at Manali Hotel/Resort. After breakfast, check-out and proceed to Shimla also known as the Queen of Hills and capital of the state of Himachal Pradesh. On arrival check-in to the hotel. Later proceed for half day Shimla local sight-seeing visiting SankatMochan Temple, Indian Institute of Advanced Studies, stroll at the famous shopping area of Shimla town – The Mall & The Ridge. Overnight stay at Shimla Hotel/Resort.